Are you ready to be a Defender of Potential? Sign up to Support Bowl for Kids' Sake! 3. Fundraise for Big Brothers Big Sisters! Bowl for Kids' Sake is to Big Brothers Big Sisters what Cookie Sales are to the Girls Scouts...it is the single best way we have to raise money and promote our life-changing work for kids in the community. Will YOU answer the call for help? raised a record breaking $225,000! The morning began with striking comments from our Executive Director, Jennifer Spitler, about how kids in our community are growing up. The inequities within Washtenaw County, as described, were profound. This is a great place to live, for some, but definitely not for others. In addition to the inequities, Ms. Spitler highlighted the physical and mental health challenges among our young people - bullying and depression on the rise. But what we know, is that a mentor, someone to guide and support kids through the tough times, can make a difference. Brittany and Zaylah talked about the strength of their friendship and how being able to count on Brittany has made a real difference in Zaylah's life. They do simple things - hang out at the park, go for yogurt, and attend BBBS group event - but the key to their relationship is that Brittany is there when Zaylah needs her. She knows she's just a phone call away. What a gift! We're grateful and excited to announce that we raised nearly $100,000 in just this one morning. Dollars that will go directly to making and supporting matches at Big Brothers Big Sisters. This will help us recruit more volunteer Bigs, complete the interview and background checks necessary and provide the orientation and training needed to work with kids in our community. This will help us introduce more Bigs to Littles on the wait list. Give the families and volunteers the support needed to be successful. And allow us to host a variety of events that give the kids opportunities and experiences that they would most likely not otherwise have - Tigers games, Zoo trips, Horseback riding. Have you ever wondered how many kids Big Brothers Big Sisters serves or how many kids are on our waitlist? Have you ever wondered how you can get your social network involved? You can get your answers by holding or attending a Discover Event! For more information, please contact Jennifer Spitler at 734-975-0933 or jennifer.spitler@bbbswashtenaw.org. 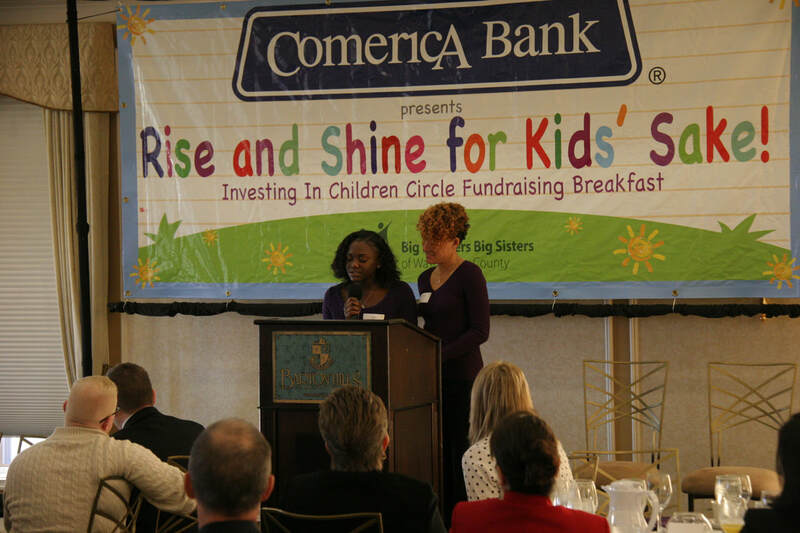 Big Brothers Big Sisters of Washtenaw County hosts a variety of events each year so that our community can support kids facing adversity reach their full potential through the mentoring experience. If you would like to discuss hosting a third-party fundraiser to benefit BBBS and our kids, or you are a part of current fundraiser and would like to direct your proceeds to BBBS and our kids, please contact Anne Marie Veneroni at 734 - 975-0933 or annemarie.veneroni@bbbswashtenaw.org.